Take her wardrobe from basic to bold with an Adorable's on-trend seasonal top! 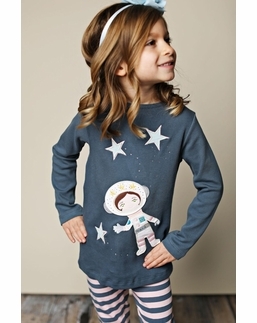 Whether you're looking for girls' graphic T-shirts for everyday wear for school and play wear or an amazing party perfect piece, we have you covered! Brands like Lemon Loves Lime, Kate Mack and Maeli Rose offer tops in sizes from toddlers' to girls' for every type of occasion! Your trendsetter-in-training will go crazy over our large assortment of adorable tops for infants, toddlers, little girls, tweens and teens! Tunic tops, printed tees, and cold shoulder tops are just a few of the must have top styles we offer in our spectacular lineup! We carry long-sleeved shirts (including the sweetest selection of Lemon Loves Lime long-sleeved shirts), graphic T-shirts (excellent options at PPLA and Vintage Havana), dressy tunics & tops (options from Mustard Pie & Kate Mack), summer tops (Hayden and PPLA offer great options) and holiday tops for girls of all ages! Looking for a few matching boy's tops and accessories? Adorable's Children has the most dapper little boys' button-ups by innovative brand Mustard Pie to please parents and prince's. Little gents will love these tops and accessories made just for them and dressy enough for celebrations, holiday's, and picture day! Adorable's is always looking to expand our selection of cute boys' tops and accessories so feel free to send us your suggestions! 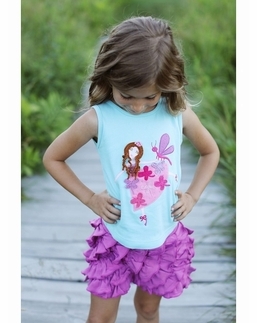 Particular moms and dads prefer Adorable's because we hand-select the sweetest designer kids' tops to keep you from having to dig through racks at the department store! Free shipping deals and exclusive discounts mean you get the best kids' clothes without spending everything!